Well Mike's tribute is already off to a great start! We've got freedom410's first group entry with his Darth Bane trio. Click here to see more of the entries and while your there, post your own for this great contest! JTHOMPSON is in our spotlight today with his custom RT-KT. Click here to see the rest of the entries, and while you're there, upload your own custom to the contest and help us raise some money for ROAR! January 30 launch date has arrived! The date we've all been waiting for (with the exception of those of us who have found stuff early, which seems to have been most of us) is here! 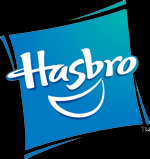 Today, January 30, is Hasbro's official retail launch date for most of the new 2012 product line centered around the 3D re-release of The Phantom Menace next month. Happy hunting! P.S. - Don't forget that figures are buy 2, get 1 free at Toys R Us! 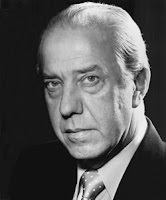 We are sad to hear about the death of Ian Abercrombie, the voice of Chancellor Palpatine on The Clone Wars. He was 77. Well, today is the day, folks! Now for the moment you've all been waiting for, prize announcements for our Customs for a Cause contest! Our grand prize winner will receive a personalized Lily Nyamwasa autographed Stass Allie 8x10 photo and a $50 Andrew's Toyz gift card. 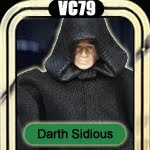 Two randomly selected winners receive $25 Man of Action Figures gift cards. Well, you've got a couple more days, so lets get those entries in! Good luck! 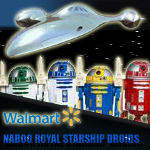 Our Episode I reviews continue today with the new Walmart exclusive Naboo Royal Starship Droids multipack. It's nice to have all of these droids together in one set, but do they make an essential addition to your collection? Read on and find out! This year's big vehicle has been revealed in a series of reports by our friends at Jedi Temple Archives this morning! The MTT (Multi Troop Transport) has been confirmed and it looks like our droid armies are about to receive an awesome new addition! Click here to head over to Jedi Temple Archives for the reports! Update: We now have new information - Yakface has confirmed through the Target DPCI system a cost of $129.99. Jedi Temple Archives has mock-up boxed images as well. 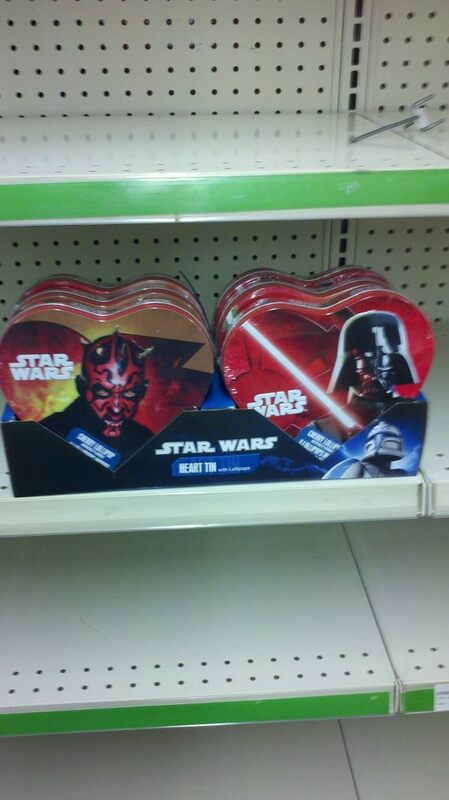 Expanded Universe fans are in for a treat! 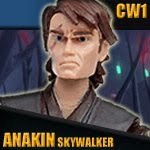 Galen Marek from The Force Unleashed and Shae Vizla from The Old Republic have been confirmed as 2012 additions to The Vintage Collection by a UK Toy Fair report at Jedi News. Also revealed is an awesome new Nikto Skiff Guard figure. Click here for a closer look! Today we continue our look at all this great Episode I stuff hitting stores now (despite the January 30 launch date) for the film's 3D re-release in early February! 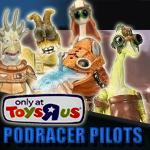 Available online starting last week (and now sold out) is the Toys R Us exclusive Podracer Pilots multipack. 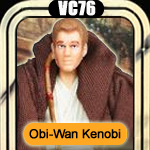 This set contains a wide range of old and new figures, all of which are simple repaints; but it's the inclusion of an exciting new accessory that's really generating buzz around this set. Read on and see if the Podracer Pilots are worth adding to your collection (again). 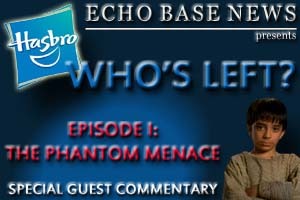 Echo Base News has teamed up with Yakface and Imperial Shipyards for a joint customizing event. This exciting new contest has been organized in the memory of former EBN staff member and talented customizer Mike Martinez. Click here to enter the forums for all the details! Sandtroopers shows us the third of four Deluxe packs this year! Click here to check it out! Here’s the latest installment in our ongoing special report Who’s Left? 2012 where we’re taking a look at all of the characters that Hasbro hasn’t gotten to yet from the six movies. Earlier this week, we revisited the list we've compiled of over eighty-five unmade characters from Attack of the Clones! Now it’s time to take a look at some of the characters from that list that we’d like to see plastic first. Last year I was joined by Paul Harrison from Jedi Temple Archives, Dan Curto from Rebelscum, Jim Cole from Droids & Ewoks, Jayson Krebsbach from Yakface, and Pat Newell from Imperial Shipyards in this very special report. A year later and with no changes made to our original 2011 list, let's revisit their Episode II commentary. Enjoy! 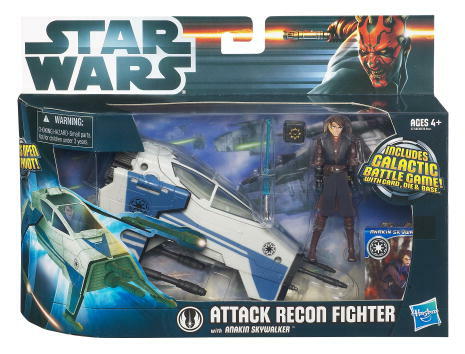 Labels: Attack of the Clones, collecting news, Hasbro, Who's Left? Sandtroopers brings us an awesome gallery of the second wave in The Clone Wars line and the two Clone Wars deluxe packs that we learned about a bit back. Click here to check it out! 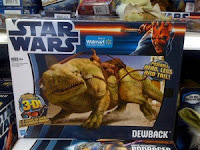 Yakface is reporting that the new Walmart exclusive Dewback and Vulture Droid (part of the Discover the Force line) have been found. They are $29.98 each. 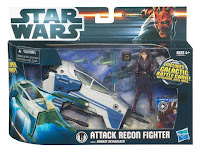 Do you want those cool Podracer flags but don't want to pay for figures you already have in the Podracer Pilots exclusive set? Our friend Jayson over at Yakface has posted illustrated recreations of the neat looking flags included in the set. Download and print your set today to add some Boonta Eve excitement to your collection. Click here to check them out. Our friends at Jedi Temple Archives have posted details about a buy one, get one free coupon for Star Wars action figures available as part of Hasbro's Annual Fun & Game Event. That's a pretty great deal especially with the (much-ignored) January 2012 retail launch date just around the corner! Click here to check out the JTA report to find out how to get your coupon. Fellow customizer CHEWIE is in our spotlight today with his two newest entries in our Customs for a Cause contest!! Click here to check out the rest of the entries!! Time is running out, so lets get those entries in!!! Whew. That's a face only a mother could love, eh? 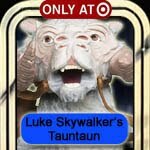 So, is Luke Skywalker's Tauntaun worthwhile? It's basically off the shelves, so should you go ahead and go back and find him somehow? Our special report "Who's Left? 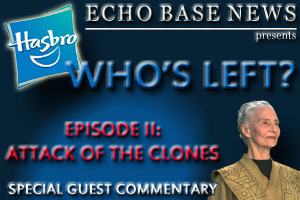 2012" continues this week with Episode II: Attack of the Clones. 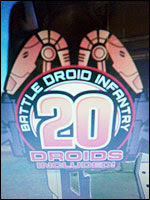 The second installment in the Prequel Trilogy, it was released back in 2002. Ten years later, we're amazed by how many characters remain to be made into action figures! We found over eighty candidates for future release, including dozens of freaky looking nightclub patrons, seven Jedi from the Geonosis arena battle, and seven versions of Senator Amidala in various outfits from her extensive wardrobe. Here's our list of "Who's Left" from Attack of the Clones. Click on the links to go to each character's Wookieepedia article and learn a little more about them. Some of them are pretty obscure! By the way, the list is unchanged since last year's report. JTHOMPSON is in our spotlight today with his custom Rav Bralor!! As someone who loves the Republic Commando novels, this was ecspecially awesome to see made!! Click here to check out more pics and see more of our entries!! Dont' forget to get your entries in!! Only 15 days left!! The giveaway winners for our Episode I giveaway will be revealed inside.. Read on to see if you won! Here’s the latest installment in our ongoing special report Who’s Left? 2012 where we’re taking a look at all of the characters that Hasbro hasn’t gotten to yet from the six movies. Two weeks ago, we compiled our list of over fifty unmade characters from The Phantom Menace. Now it’s time to take a look at some of the characters from that list that we’d like to see plastic first! 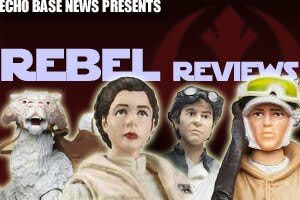 Last year I was joined by Paul Harrison from Jedi Temple Archives, Dan Curto from Rebelscum, Jim Cole from Droids & Ewoks, Jayson Krebsbach from Yakface, and Pat Newell from Imperial Shipyards in the following special report, which has been revised for 2012 by removing characters that have since been released as figures. Read on for our insight on some of the best unmade character selections! Labels: collecting news, Hasbro, The Phantom Menace, Who's Left? Freedom410 is in our spotlight today with his entry in our Customs for a Cause contest. Here is his take on Darth Plagueis. Click here to check out more of his entries. 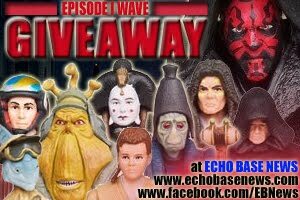 Don't forget about our Episode 1: The Phantom Menace Vintage Wave giveaway in the forums and the Facebook page!! Sandtroopers gets the scoop on the Deleted Scenes Vintage Wave (11)! There are two albums: carded without life-sized Darth Maul sticker and this one has the stickers and loose images. The second album includes looks at the Naboo Fighter and a new IFT-X tank. 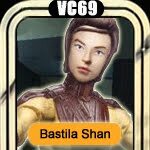 Rebel Reviews is taking a short break from Episode I figures to cover Wave 9 - the Bastila/mixed sources wave. Should you try and track down Bastila? The continuation of our special report "Who's Left?" 2012 (which will resume with special guest commentary for Episode I: The Phantom Menace) has been postponed; we've all been so busy here between the holidays, working with new sponsors, bringing in new staff, and now our big Episode I giveaway, etc. Look for the next installment in this exciting and informative series this Friday! 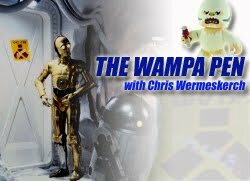 In my second rush of The Wampa Pen, I talk about my thoughts with the upcoming Episode I glut. 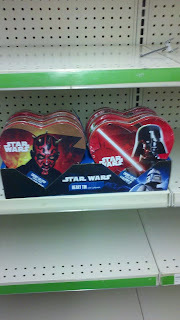 If you ever want a fool-proof way to make somebody fall in love with you, excluding a Jedi Mind Trick, I'd say this is it! I found this today at a CVS Pharmacy. Yep, there's a pretty exciting giveaway coming up to celebrate The Phantom Menace. Be sure to like us on Facebook and stay tuned for all the details! 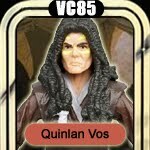 Today we take a look at Hasbro's third attempt at a "realistic" Quinlan Vos action figure. Is the third time a charm? Read on to find out! 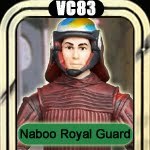 Today we look at an updated Naboo Royal Guard! Is this upgrade worth getting? Read on to find out! 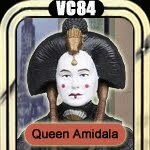 Today we look at Queen Amidala in yet another new dress from The Phantom Menace. Should you add another costume variation to your collection? Read on to find out! Customizer w.myles is in our spotlight today with his repainted dewback as an entry in our "Customs for a Cause" contest! That is a truly incredible repaint!! Click here to check out some more of his work and don't forget to enter our contest! Prizes to be announced soon and its going to a great cause!! Last week, several sites reported that Hasbro's January 30 street date for the launch of the 2012 Star Wars line was no longer in effect. Hasbro has sent us a notice confirming that the January 30 retail launch date is still in effect for all countries except the UK. Read on for the official announcement. Forum member darthdaddy is in our spotlight today with his custom Jedi!! Click here to see some more of his fantastic work!! Don't forgot, we've got 1 month left in our "Customs for a Cause" Contest!! Lets get some more entries!! Today we look at the guy responsible for all of the bad stuff that happened in the Star Wars movies: Darth Sidious. Should you add yet another version of the character to your collection? Read on to find out! From all of us at Echo Base News, have a wonderful New Year! We look forward to another awesome year of bringing you all the latest Star Wars excitement and we've got some big plans for the near future! As always we'd like to thank you, our readers, for all of your support. May the Force be with you in 2012!